Come party at the legendary Blue Nile on the world famous Frenchmen St in New Orleans’ French Quarter. 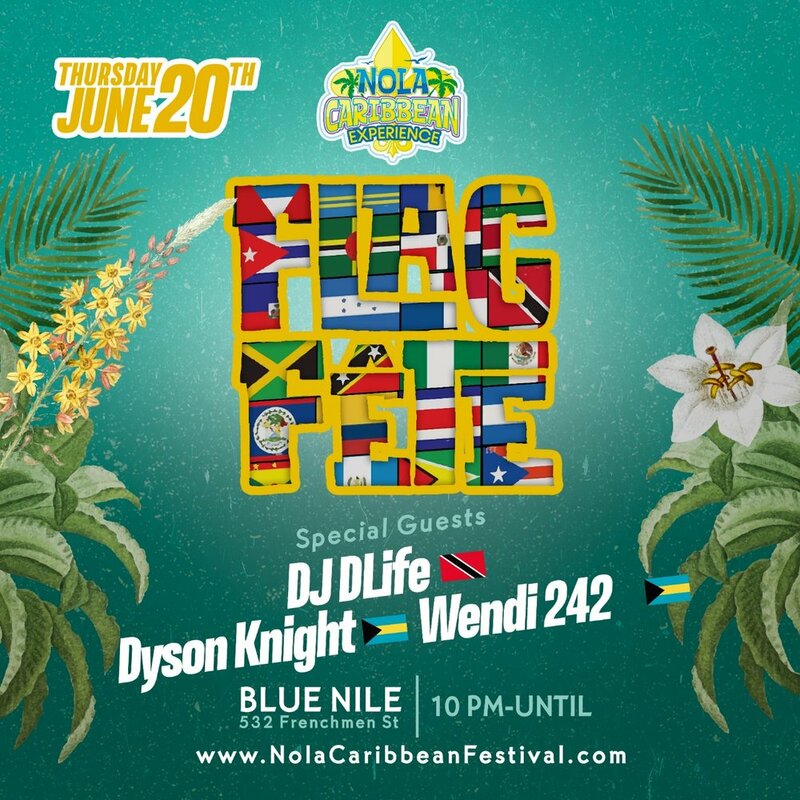 Featuring DJ T-Roy of Bayou International Sound System (New Orleans), DJ DLife (Trinidad), Dyson Knight (Bahamas) & Wendi 242 (Bahamas) and bring your flag, rep your country! Follow us to stay updated!